When I found out that IKEA started serving vegan meatballs, I couldn’t wait to try them. I didn’t need any cost-effective build-your-own furniture, so I decided to make this trip all about one thing: FOOD! I headed straight to the café, where I grabbed a tray and looked at all the wonderful vegan options. The first thing I saw was a surprisingly fancy-looking asparagus salad with cherry tomatoes and mustard-dill sauce. It seriously looked like something I would get at a fine dining restaurant. Next, I saw a sign that said, “Carrot Ginger Soup—Vegan,” which I, of course, had to try. 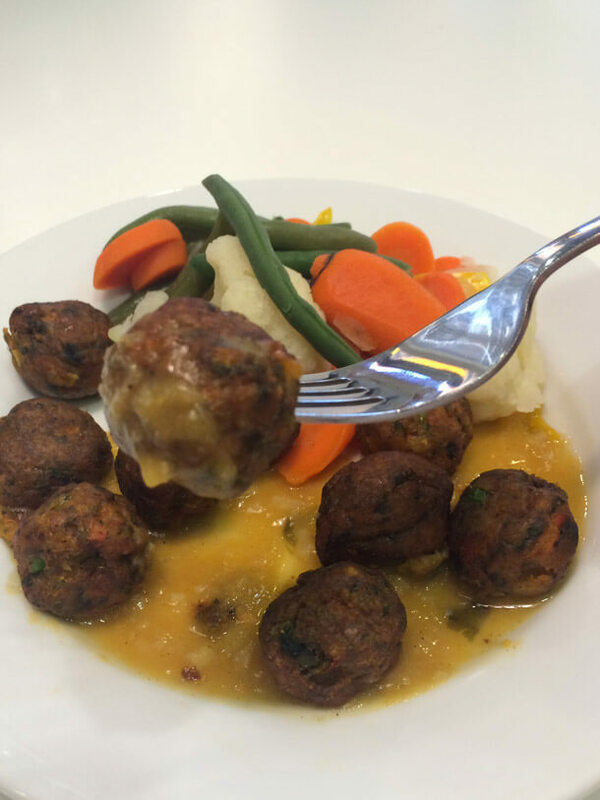 Finally, I got my vegan meatballs, which were served with a cauliflower–sweet potato sauce and mixed vegetables. 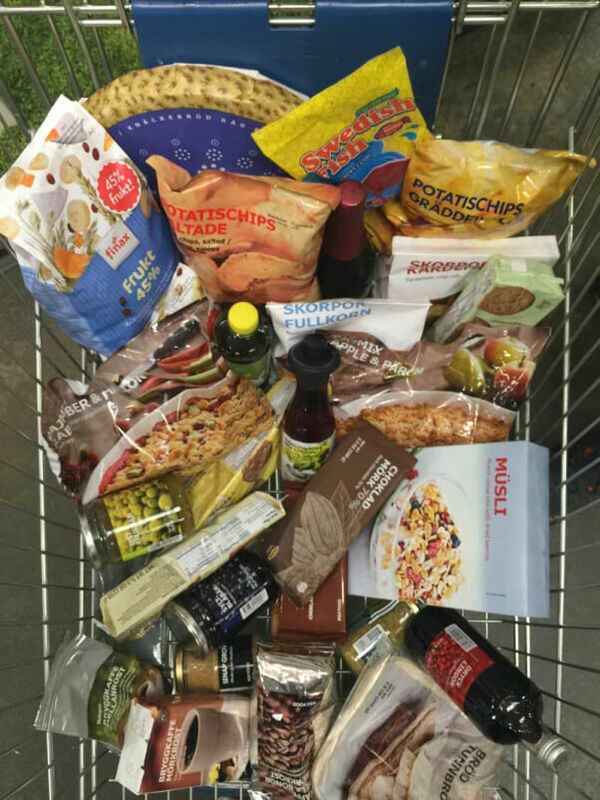 Before leaving, I just had to check out the store’s grocery section for some accidentally vegan goodies. What a haul! I couldn’t believe how many delicious options there were. 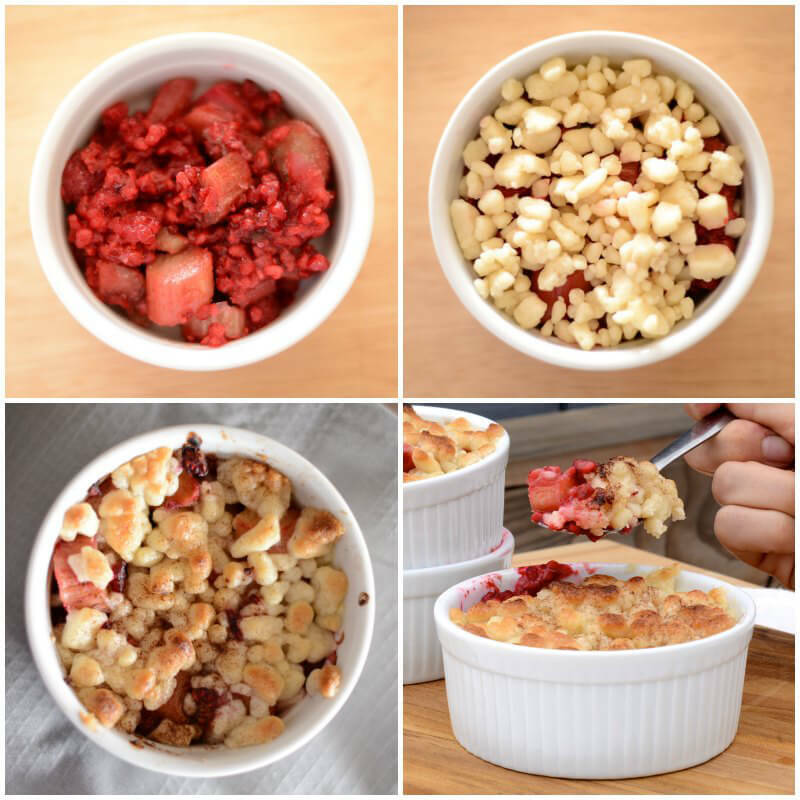 There was a wide variety of vegan-friendly drinks, cereal, candy, chips, jellies, coffee, crackers, and other snacks—but my favorite find was in the freezer section: Rhubarb & Raspberry Crumble. I couldn’t wait to get home and try it out. To prepare it, all you need is a baking dish and an oven. It’s that easy! I put the frozen berries into four 8-ounce ramekins, then I added the crumble and put the dishes into my preheated oven. What came out was raspberry heaven. No, really. The dish was the perfect balance of tart and sweet. I almost ate all four servings by myself. So there it is (as if you needed another excuse to go to IKEA).